Deploy the right people for the job at the right time and cost. SumTotal Scheduling makes the constant drive to do more with less possible. Integrate your schedule with learning, talent, and corporate goals to make your workforce a strategic advantage. Complete automation and self-service ensures that only available, qualified, and skilled employees are on the schedule. Validate that employees are available, trained, and compliant prior to work with the Talent Expansion Suite. Schedule by employee, job, or role and align shifts with skills, proficiency levels, or seniority. Manage the schedule with predictable patterns that accommodate flexible and complex work schedules. Engage your workforce with self-service capabilities that encourage work/life balance such as indicating availability and trading shifts. 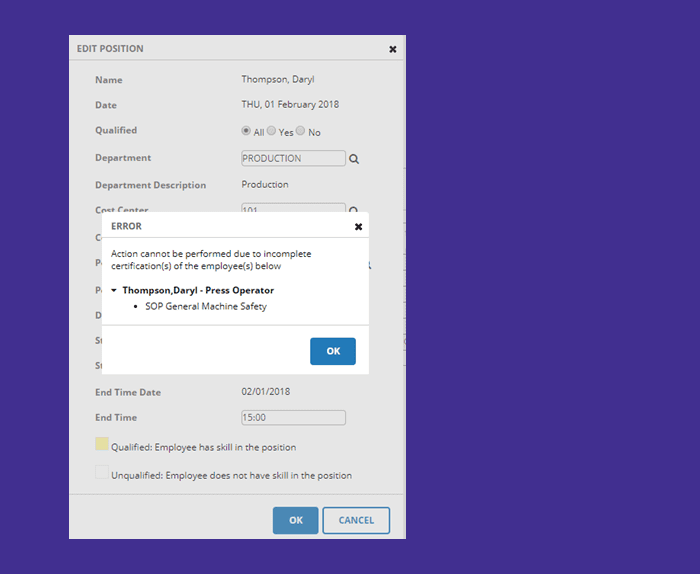 Fill shifts with automatically selected available workers who are compliant and have the right skillset. Configure unlimited rules to manage complex legislative, union, and other business requirements. Implement safeguards that restrict scheduling employees for tasks when requirements are not met. Ensure coordinated breaks and enforce laws such as location-specific meal and rest periods. Deploy a predictive, interactive schedule that optimizes your business. SumTotal refines the process of organizing people on appropriate shifts so you always have the best talent on the jobs with less administrative effort. hoc changes with a simple drag-and-drop visual tool. Manage flexible and complex schedules with predictable patterns. Leverage the comprehensive rules engine to manage unlimited configurations. Reach your employees where they are with self-service. more productive and engaged workforce. Encourage work/life balance by allowing employees to trade or bid on shifts. 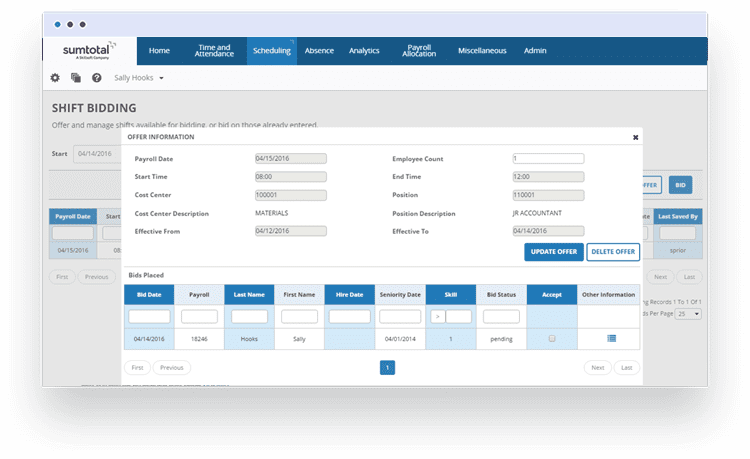 Facilitate employees’ scheduling needs with the ability to set their own availability. Monitor and view schedules anytime, anywhere using a mobile device. Use employees’ daily interactions with the schedule to advance talent and learning goals. SumTotal has enabled us to better manage our workforce, reduce costs and empower city employees to be more productive. 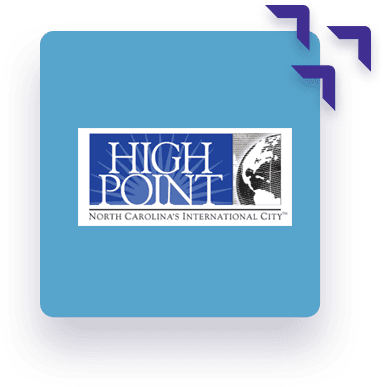 See how the “International City” improved absence and leave programs for their large and distributed workforce spanning fire, police, parks & recreation and more. 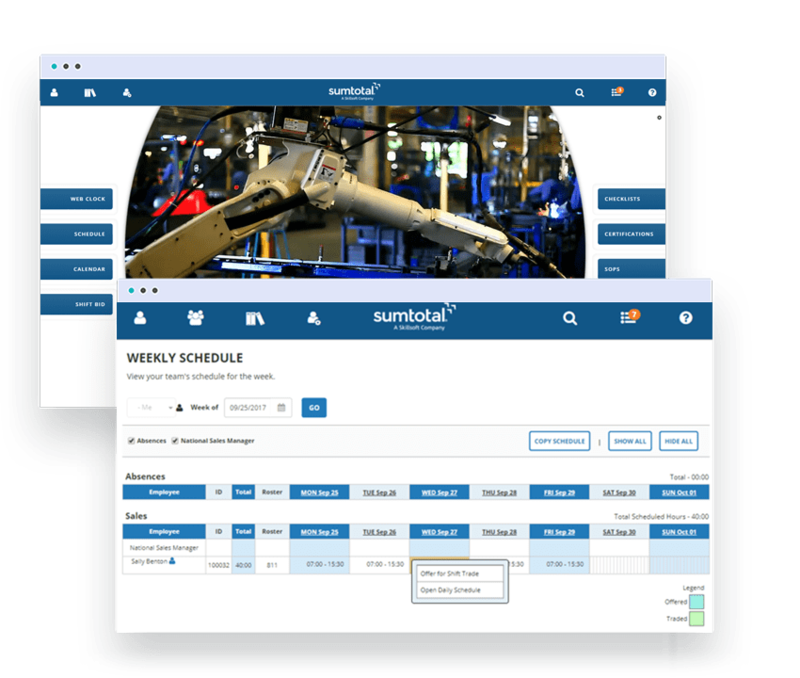 SumTotal is a recognized leader in Workforce Management with technology that brings workforce management together with talent and learning in one platform. To proactively manage compliance, training, work management, and tracking should all be integrated into the system your people use every day.